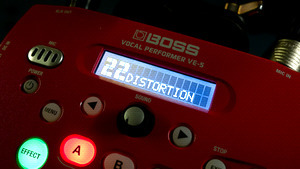 KitMonsters – Boss VE-5 Vocal Performer. The music makers’ guide to making music. 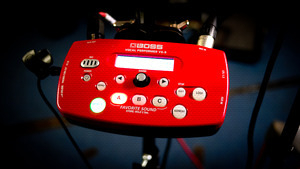 The Boss VE-5 Vocal Performer is a compact personal effects processor and looper for vocalists. It is designed for easy use and to fit on a mic stand or table top. 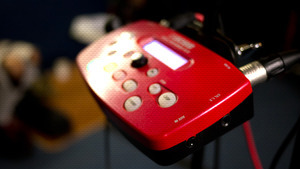 It is aimed at singers, rappers, and beatboxers, and comes with six types of effect and special processing, inherited from the larger VE-20 pedal. You can add Reverb or Delay, or control the level with the Dynamics function. 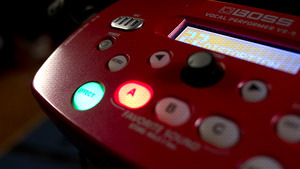 The Double/Harmonizer can be used to thicken your voice and you can correct intonation problems with Pitch Correct. It also has Distortion, Radio, and Strobe effects. You can create standout pitch-correct / hard-tune effects — a staple of many modern hip-hop and pop hits, and it also has a Phrase Looper.